Pokémon Picross seems like a combination that’d be tough to screw up. Good thing the game itself is great. It’s free-to-play—uh-oh!—which could ruin a game as compulsively playable as this, but Nintendo has managed to implement that in—phew!—a very friendly way. Have a 3DS? No brainer here. Download now. The game is a proper mix of the uber-popular Pokémon series and the cult-favorite Picross games. It’s more the latter than the former, since the gameplay is very much Picross: you’re given a grid surrounded by digits that indicate the number of pixels that you should draw into each line or column of the grid. As you deduce which ones to fill out, you wind up drawing a picture. In this shot here, the picture is nearly complete. There are just two rows that need an extra standalone pixel apiece. And those pixels should also be part of two pairs of pixels in two of the grid’s columns. In this game, the pictures you draw are all of Pokémon. Solving a puzzle amounts to catching the pictured Pokémon. Each captured creature has a special power that can be used if you bring them with you to help you solve the next puzzle. To understand how Picross works, look at the bottom row in that screenshot. Going by the numbers the game gives you-4431—you know that the bottom line will have four consecutive pixels, then a gap of some size, then four more, then a gap, then three, then a gap, then one. You’ve got to slowly, thoughtfully deduce which blocks of pixels go where. It may seem hard, but it’s totally do-able. That one took me about 46 head-scratching minutes to solve. There’s a surprising amount of stuff going in the game, which was made by the Picross veterans at the studio Jupiter. The puzzles are set across a Pokémon-style overworld that has branching paths, hidden mythical Pokémon, and offshoots that lead to mega variant puzzles that, fittingly, let you collect the mega-evolved version of captured Pokémon . As you can see from the shot below, there’s also an alt world. It uses Mega Picross rules, which are a variant on the puzzle formula introduced a few Picross games ago. There are special win conditions for each puzzle. These challenge you to bring certain types of Pokémon into the match with you and, more interestingly, challenge you to limit the use of special Pokémon powers. Some conditions unlock mural pieces, which let you slowly fill out much more massive Picross puzzles. There’s also a daily challenge mode that tests your ability to zip through an ever-increasing number of puzzles in very little time. There are password-locked puzzles, too. I haven’t figured out how to access them. It’s all really good for Picross devotees like me. Packed together, there’s a lot here and plenty Nintendo could and probably should charge for. 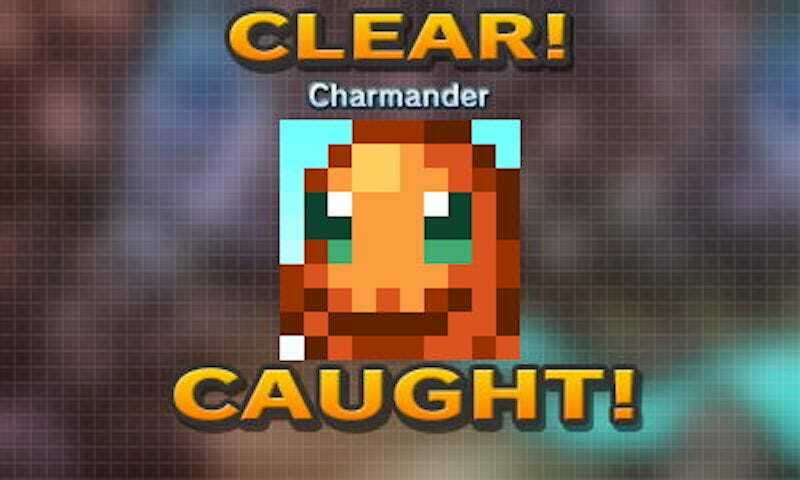 But because it’s 2015, they’ve made Pokémon Picross free-to-play, or, as they call it, free-to-start. That’s why there’s an energy meter in the top left corner of the above image. It gets depleted as you solve puzzles. Energy fills back up over time, but you could wind up in a spot where you don’t have enough energy to do the next puzzle. Naturally, you can use the in-game currency Picrites to refill that energy meter. You use Picrites to unlock new overworld areas, too. And Picrites to access Mega-evolution puzzles. Oh, and to go to the Alt World. But, hey, you can earn small amounts of Picrites in-game or...buy them with real money. I wanted to play as much of this game as possible in the few days I had it, so I bought the 800 pack for $4 and then the 2000 pack for $13. The game is really well done, so $17 actually seems like a fair amount of money to give to the developers. Here’s the twist that Nintendo has been employing with some of their free-to-start games: There’s a spending cap. You can actually only ever spend $32 before the game makes the Picrites free. You can also eradicate the energy meter by upgrading it (with Picrites) five times. At level five, you have infinite energy. The spending model does introduce an annoying meta-game. With previous main Pokémon and Picross games, you could just play as long as you’re having fun and not wind up trying to manage your play time and wait until your energy fills back up and debate whether to spend four bucks or 13 bucks to keep playing. It’s a nuisance, but, thankfully, it’s at least a temporary, capped nuisance. I do wonder if I’ll find the need to spend another $15 to enjoy the game at my own pace. That I can’t judge yet. I’ve had a great time with the game so far. Highly recommended.